MyPillow’s patented interlocking fill adjusts to your individual sleep needs regardless of sleeping position. Allowing MyPillow to hold that position all night, helping you fall asleep faster and stay asleep longer. Machine Wash & Dry The MyPillow stays healthy and fresh! Wash and tumble dry as often as you want, like your favorite jeans! Forms To Your Shape - Our patented 3-piece interlocking fill gently cradles head and neck. Stays just the way you like it all night long. As part of MyPillow's Premium Series Bed Pillows, they feature an exclusive 2 inch gusset around the entire pillow for added luxury and support. This allows for more loft and adjustability for your exact sleeping needs. MyPillow's proprietary fill allows you to adjust the pillow exactly how you want without losing its shape or going flat throughout the night. This allows you to fall asleep and stay asleep without having to wake up and readjust. Our fill is an Open Cell Poly which allows our MyPillow to breathe and stay cool throught the night. So there will be no need for you to wake up and flip your pillow to the cool side. After many trials, we found a combination of these 3 sizes(See Photo Left) of our patented fill made for the perfect pillow. It allowed for the softness and adjustablility of a down pillow while maintaining support and staying cool all night. How is MyPillow different than other pillows? It adjusts to your unique curvature for an exact fit. It stabilizes your head, shoulders and neck for perfect support. You will go into REM sleep faster and remain there longer for more productive sleep. 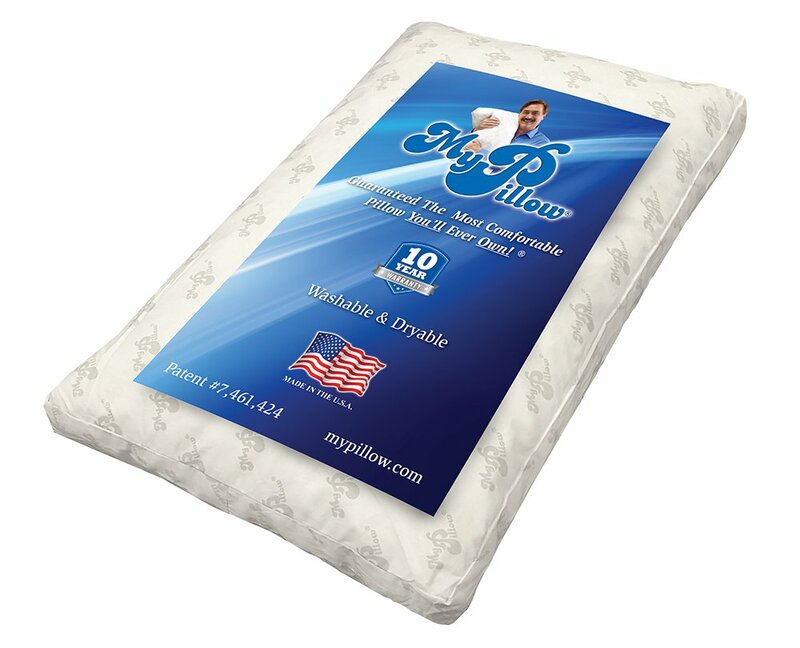 MyPillow creates a natural cooling effect and is 100% USA made. MyPillow features a 10-Year Warranty and a 60-Day Money Back Guarantee. MyPillow is completely machine washable and dryable. 100% cotton, open ended pillow cases. Using another fabric blend or material may take away the cooling effect of the pillow. Do not use pillow protectors since they will take away the cooling effect of the pillow. 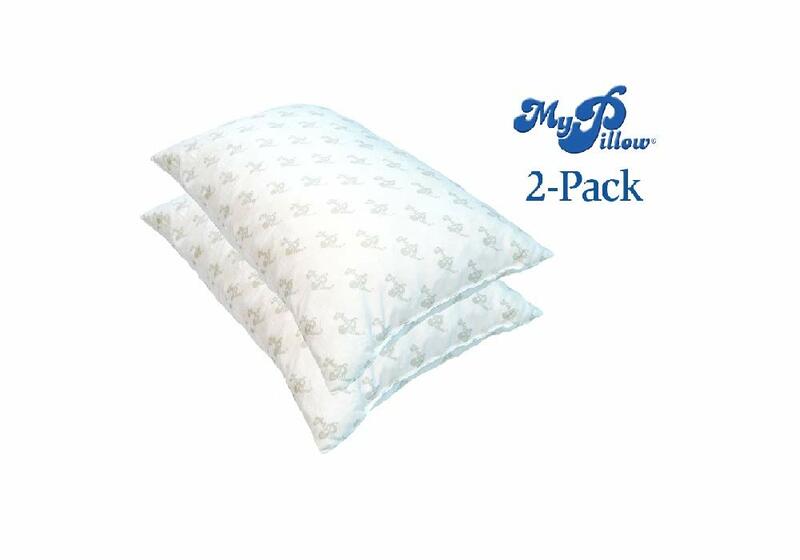 Pillow protectors are also not needed since MyPillow® is washable and dryable. How do I wash & dry MyPillow®? We recommend laundering every 4 months, even if clean. If you have allergies, every 2 months or as often as needed. MyPillow®’s 10-Year Warranty covers laundering. Wash Cold or Warm on regular cycle (not delicate) Use any detergent. Place 2 pillows in washer to balance. If only 1 pillow, balance with towels. Wash pillows with a full load of laundry. Dry Tumble dry with high heat. No dryer balls or fabric softener. We are dedicated to using the highest quality goods, thats why we use only 100% USA sourced materials. From fabric to fill, every part of our pillow comes from right here in the USA. Even our factory is located in Mike Lindell's(Inventor/CEO) home state of Minnesota. To save on space and leave a smaller footprint upon our world, we shrink wrap our pillows which allows us to use less plastics and less packaging materials.